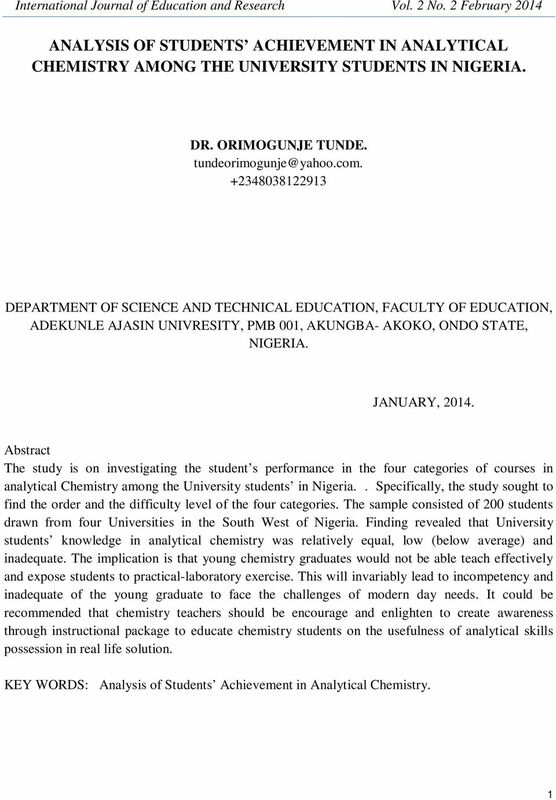 ANALYSIS OF STUDENTS ACHIEVEMENT IN ANALYTICAL CHEMISTRY AMONG THE UNIVERSITY STUDENTS IN NIGERIA. 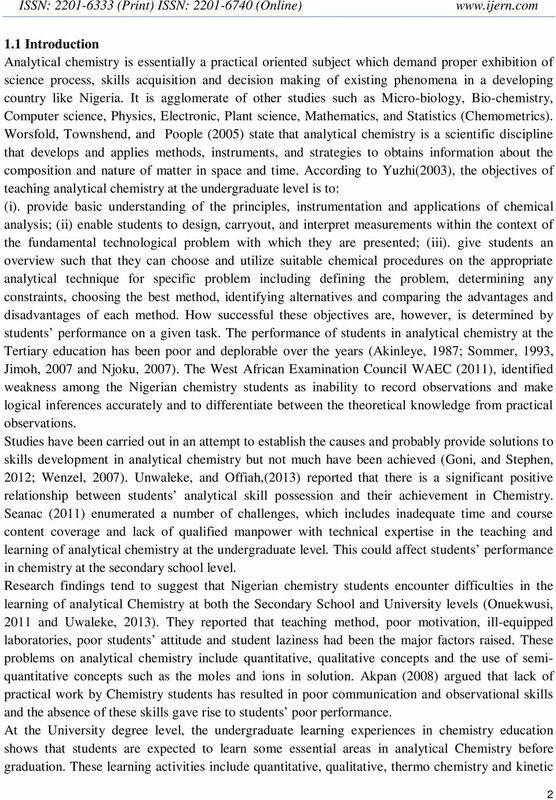 Download "ANALYSIS OF STUDENTS ACHIEVEMENT IN ANALYTICAL CHEMISTRY AMONG THE UNIVERSITY STUDENTS IN NIGERIA." 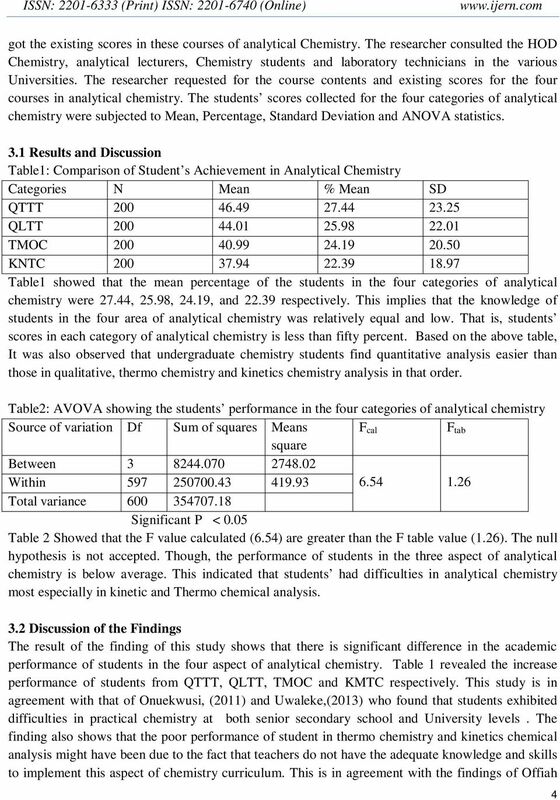 Department of Chemistry University of Colorado Denver Outcomes Assessment Plan Department Overview: The Department of Chemistry offers both the B.S. and M.S. 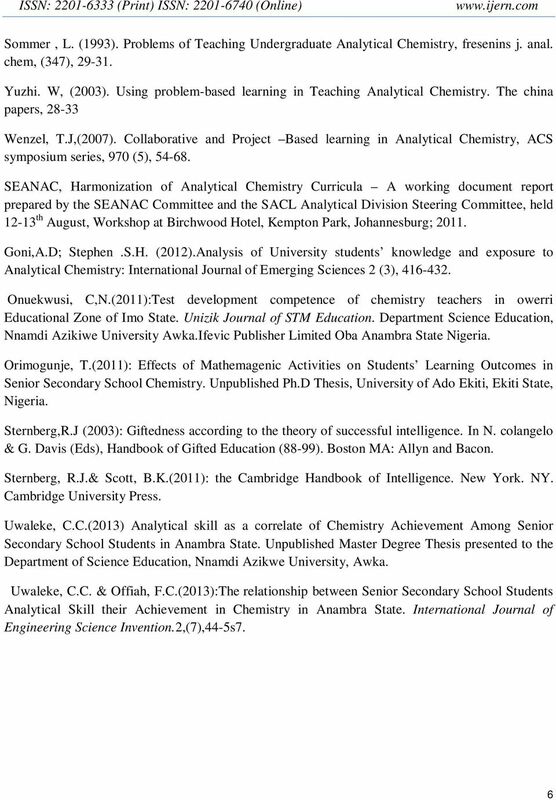 degrees in chemistry. Students at the B.S. Master of Education in Middle School Science This program is designed for middle school teachers who are seeking a second license in General Science or who wish to obtain greater knowledge of science education. 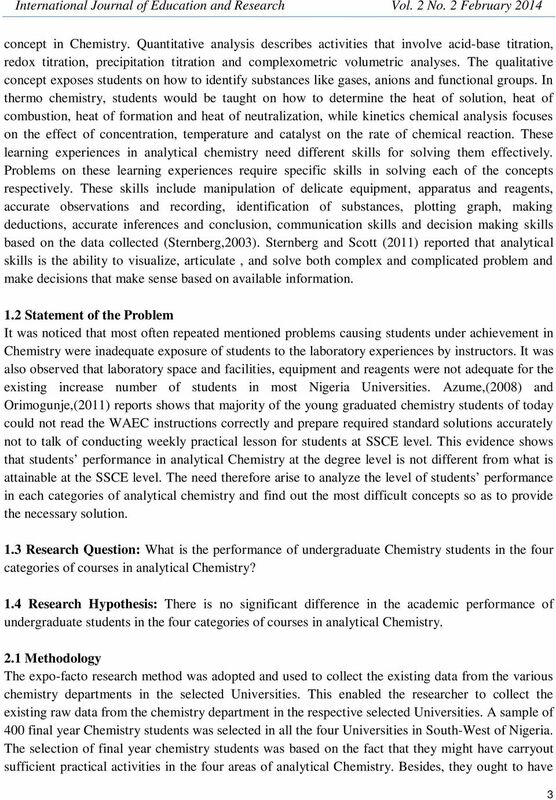 CHEM 1402 fulfills four hours of the general education core laboratory science course requirement. 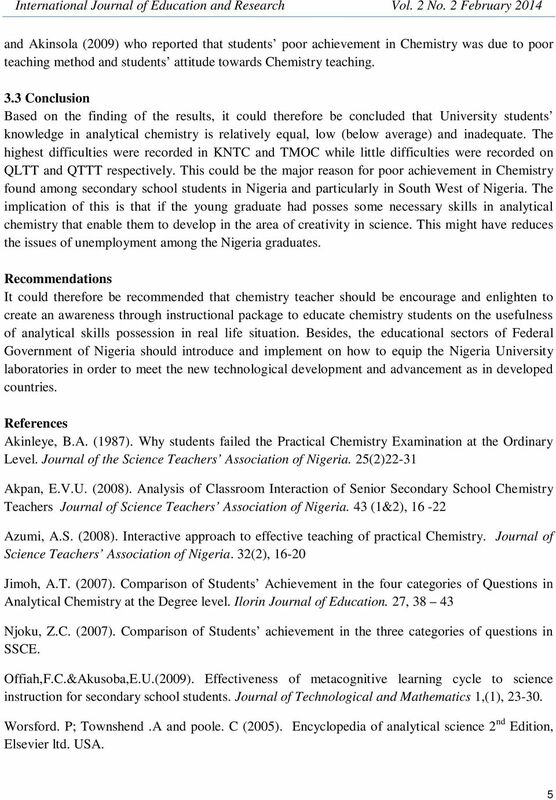 Availability and Use of Information and Communications Technology Resources for Counselling University Students in South East States, Nigeria.